Earlier this year we were introduced to Laurie Louis Designs. We just adore Laurie's shop filled with party planning and entertaining goodies. Her style leans towards a southern coastal vibe, and we are all about that! 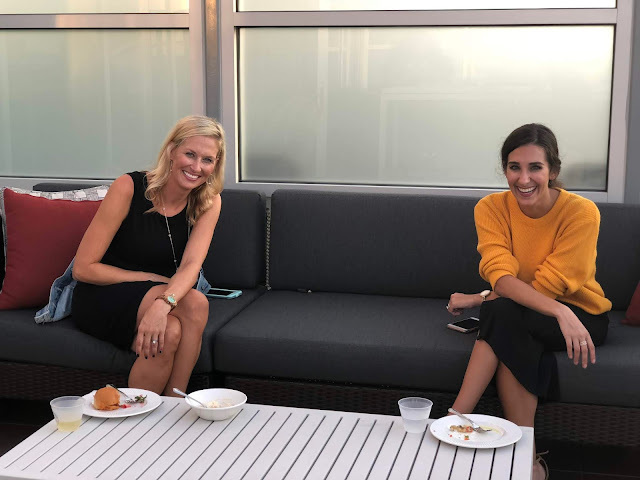 Last month, after we hosted our End of Summer Soiree, Laurie let us know she was coming to Atlanta, and wanted to see if we would help her host an event with other influencers. Of course we said yes! We couldn't wait to meet the Laurie Louis team and as well as the brain behind it all! 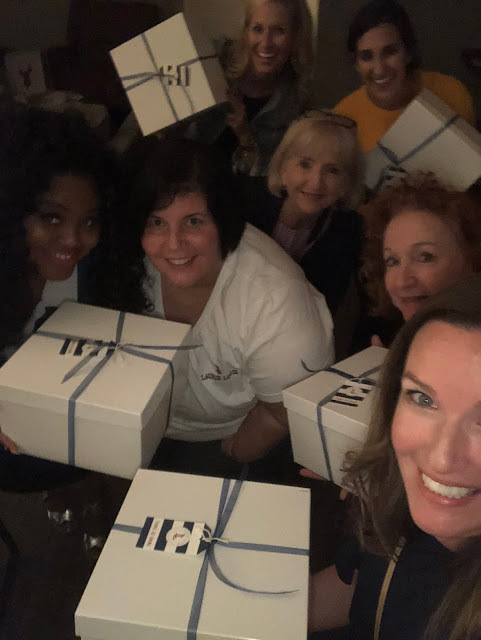 Not to mention, we were going to jump at any chance the be around Laurie's fabulous items and get a sneak peek at her latest lines. Tuesday night, the day finally arrived! Laurie is a huge Braves fan (that's our girl! ), so she wanted to stay close to where the post-season action was happening. 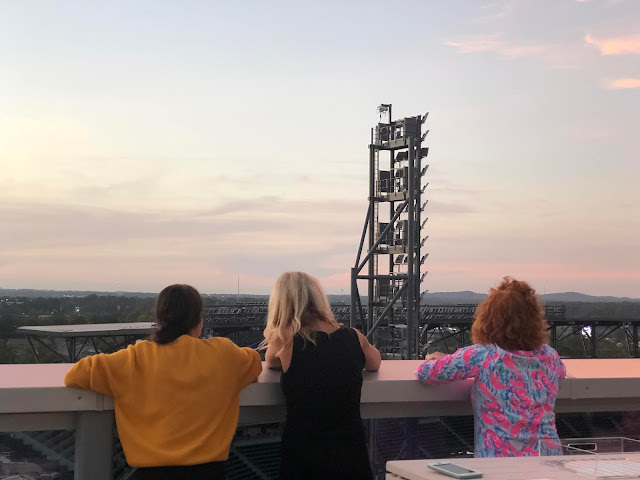 She and her team rented a gorgeous suite on top of the Omni Battery, and it gave way to stunning views not only to SunTrust Park, but to the entire Atlanta skyline. 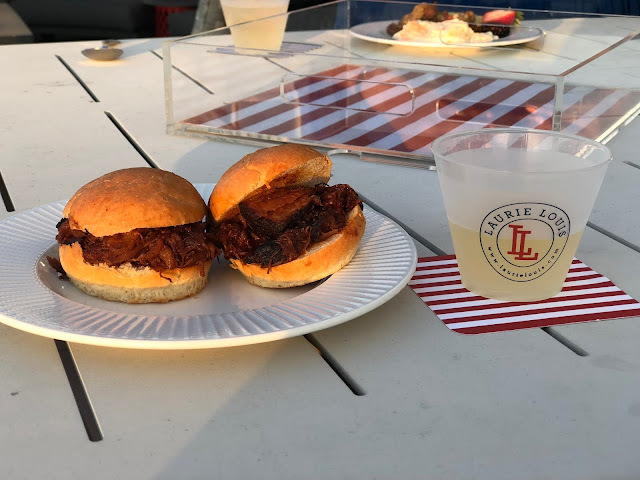 If you follow Laurie on Instagram or on Facebook, you know she likes to throw a good party. She left no detail un-thought of. 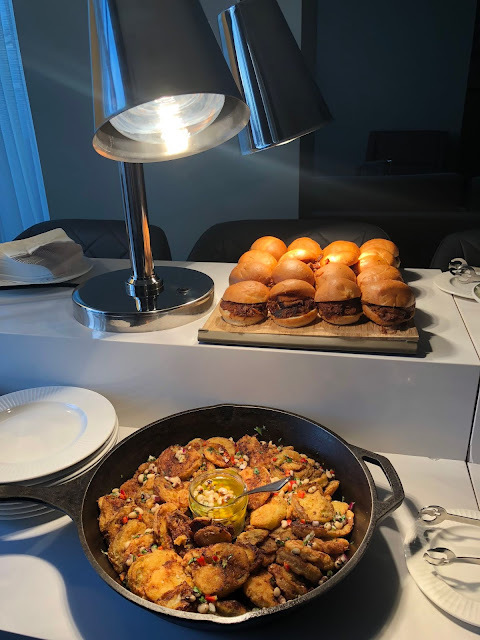 From the layout of the suite, to the gorgeous spread of southern style food, to the yummy cocktails. All donned with her signature designs themed in red stripe and blue stripe (because Go Braves!) gorgeously displayed. Laurie wanted to keep the soireé intimate so that she would have time to individually chat with each and every person. 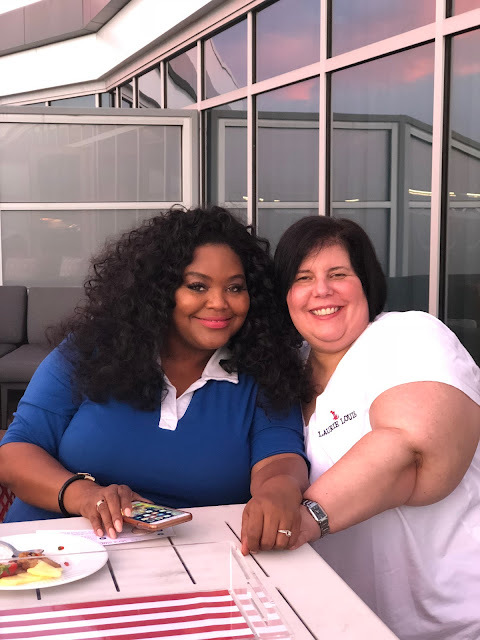 We loved this because not every blogger event is run that way, and rarely do you get one on one time with the figurehead themselves in such an intimate setting. It goes to show how much Laurie truly cares about every aspect of her brand, and her customers. We had a small group because a handful of people cancelled at the last minute, but even though those individuals were missed, the event was a blast. 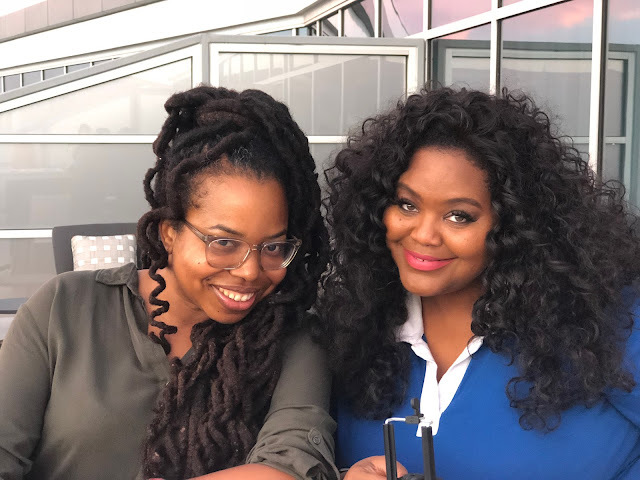 Personally, we were able to get to know fellow Atlanta bloggers a little more and we really enjoyed that. We also loved getting a sneak peek at some of Laurie's new fall and holiday lines. 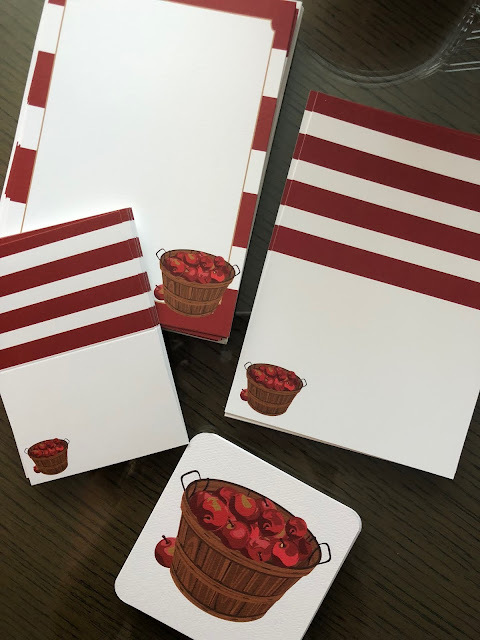 She displayed these adorable apple themed goodies from the Laurie Louis fall line. 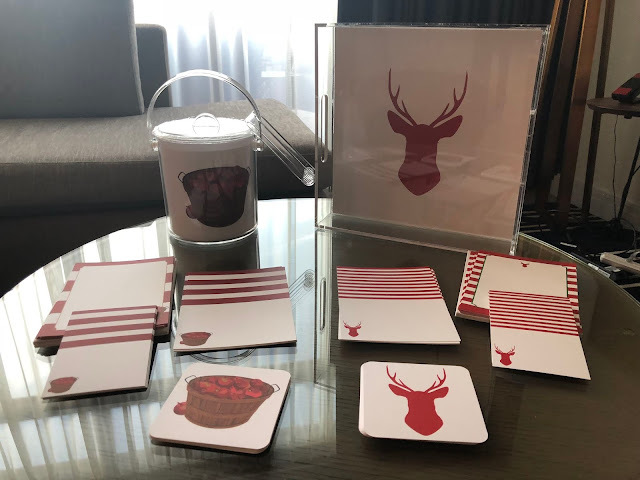 And this super cute deer design from the Laurie Louis holiday line (coming soon online!). Laurie, being a true southern hostess, wasn't about to let everyone go home with out a little gift. 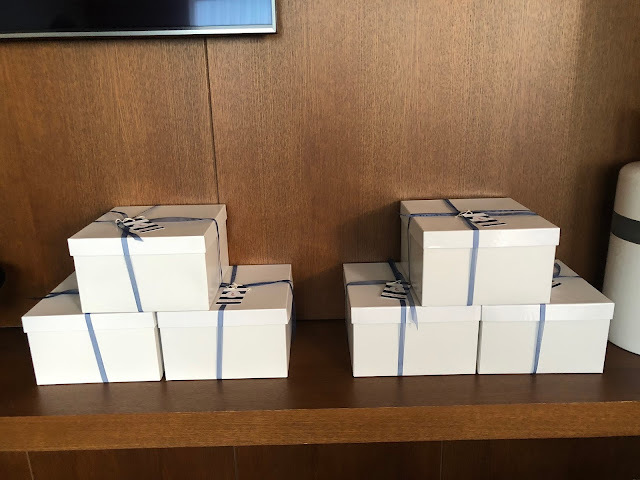 She packaged up these adorable little boxes for everyone filled with fun goodies. How cute are her gift tags?! 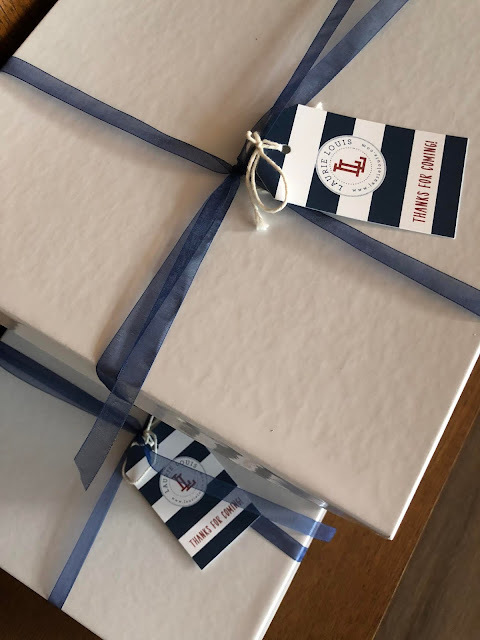 We were all so excited, and we can't wait to show you what was inside. 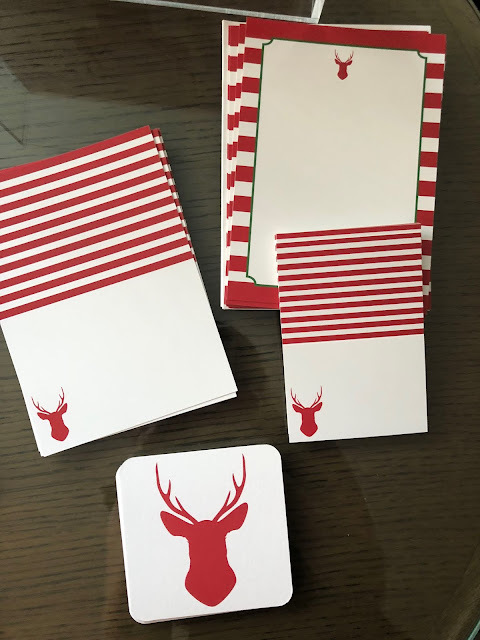 Check the hashtag #LaurieLouisDesigns on social media to get a peek at what everyone received and how we are using them this fall and holiday season! 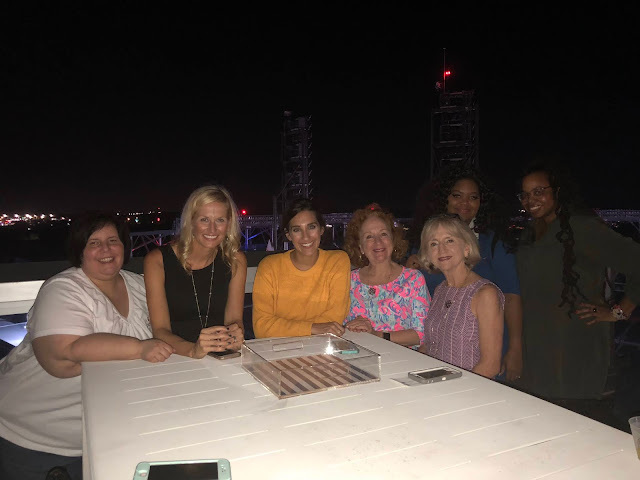 A huge thank you to Laurie, her team, and all of the individuals who took the time out of their busy schedules to have a fun girls night with us! Stay tuned because we have so many fun things on the horizon with Laurie, and maybe a surprise or two for you as well (wink, wink).